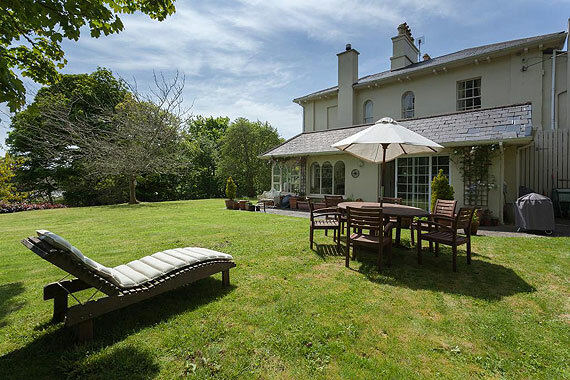 A charming and beautifully situated c.1800 period property nestled in a peaceful and private setting. 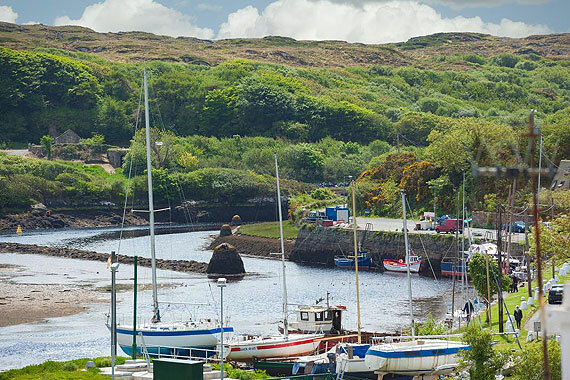 A truly charming and beautifully situated c.1800 period property nestled in a serene peaceful and private setting surrounded by magnificent woodland and gardens overlooking Clifden harbour and bay. 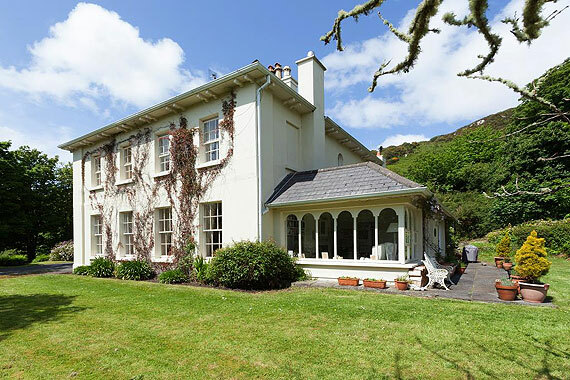 The three-bay two-storey Old Rectory was built c. 1856 by John Darcy, who founded Clifden some decades earlier, for his son the Rev Hyacinth Darcy. The building remained largely as it was for over a century and a quarter, when it was sold by the Church Representative Body and a new smaller Rectory was built. 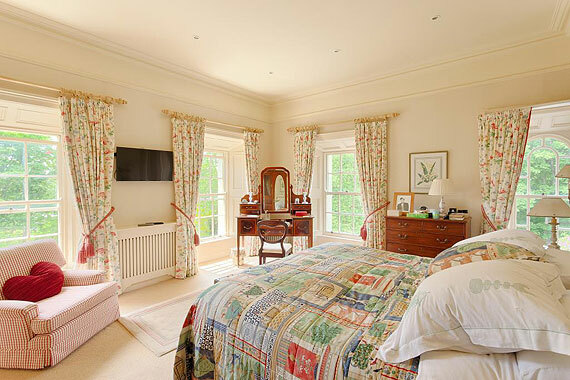 The current owners purchased the property in 1975 and carried out extensive renovations in the intervening years to an exceptionally high standard taking particular care to preserve the history and heritage of this period property. The Coach House and Stables were converted in 2002. 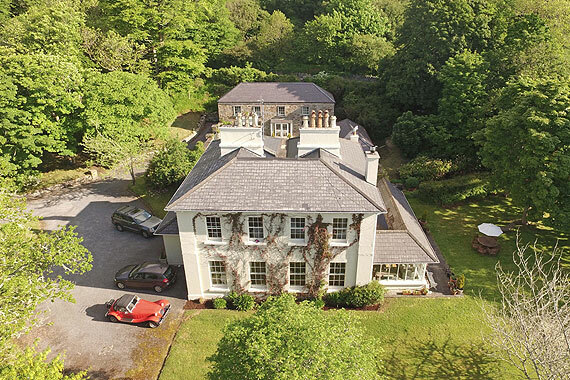 In a spectacular setting in one of the most beautiful parts of Ireland, The Old Rectory is approached through electric gates via an avenue which gently meanders through mature woodland to the front of the property. The house is set in its own spectacular grounds and gardens with views of the sea and is not visible from the main road. It lies below the line of the famous Sky Road and beach road below and is bound by a cut stone wall. 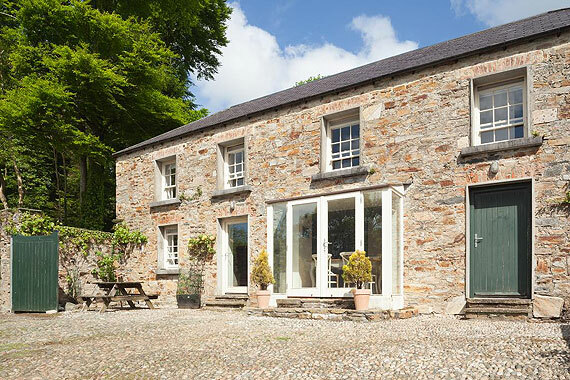 To the rear of the house is a cobbled courtyard with a three bedroom guest house, original cut stone barn, workshop, sports room, games room and log store. 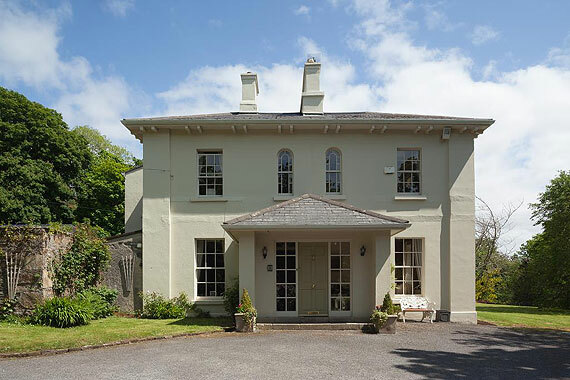 The Old Rectory offers well-proportioned light filled accommodation throughout. 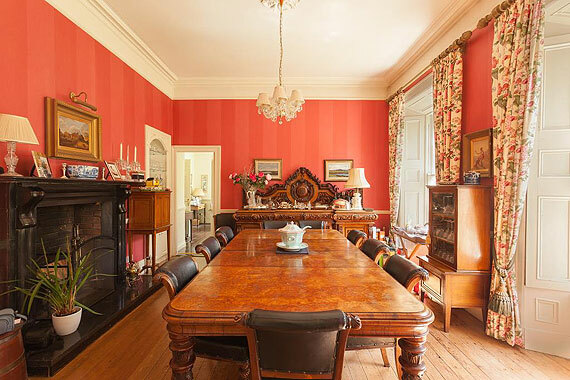 The main house has excellent formal reception rooms and beautiful entertaining rooms coupled with being a comfortable family home. 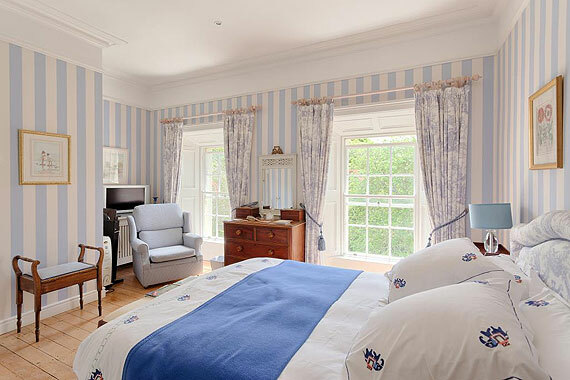 The property retains many of the original period features including sash windows and shutters, plasterwork, joinery, ornate corniced ceiling rose, period fireplaces and original doors and floors. 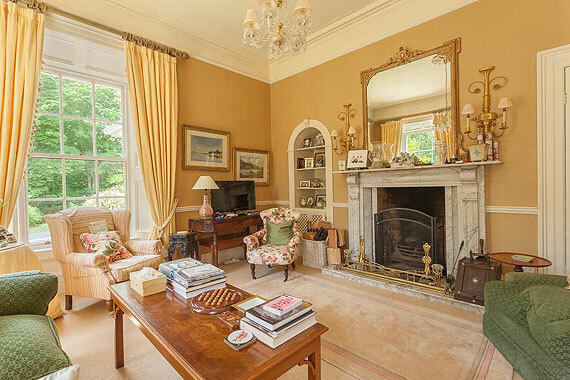 The light filled drawing room leads into the dining room and on into the garden room. 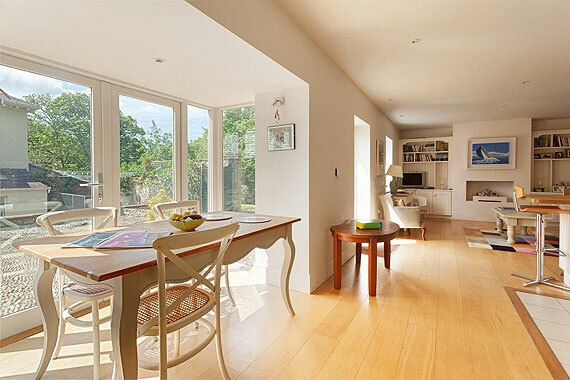 There is a charming country kitchen with doors to the terrace. 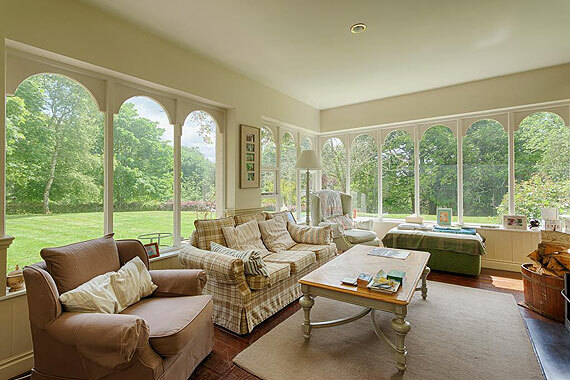 The garden room has extensive arched windows which take in the panoramic views of the gardens. Upstairs in all are four bedrooms. 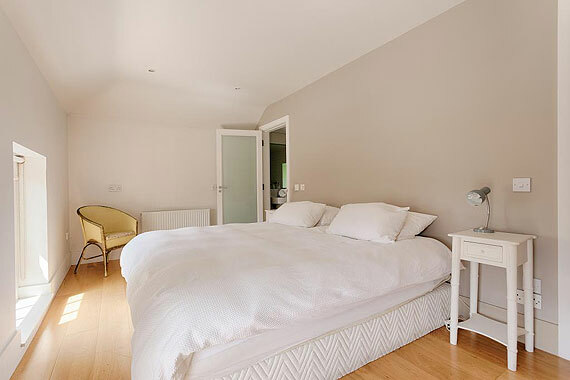 The master with numerous windows has a dressing room and bathroom, the guest bedroom is also ensuite and there is a large family bathroom. 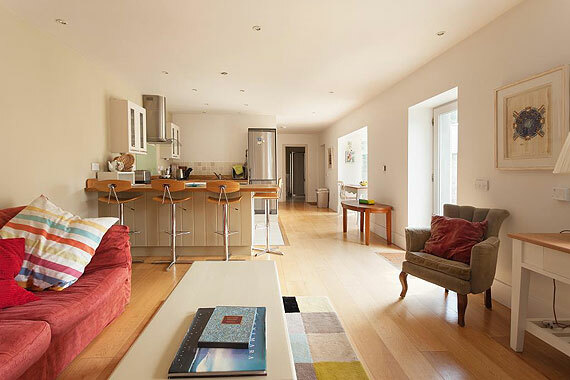 The recently restored elegant Coach House contains a large bright open plan kitchen and sitting room, utility and shower room downstairs. 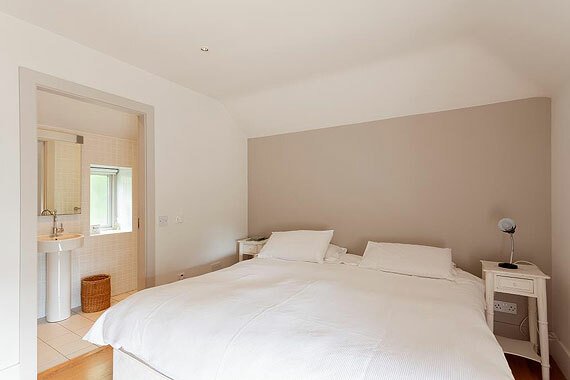 Upstairs are three bedrooms, two of which are ensuite. 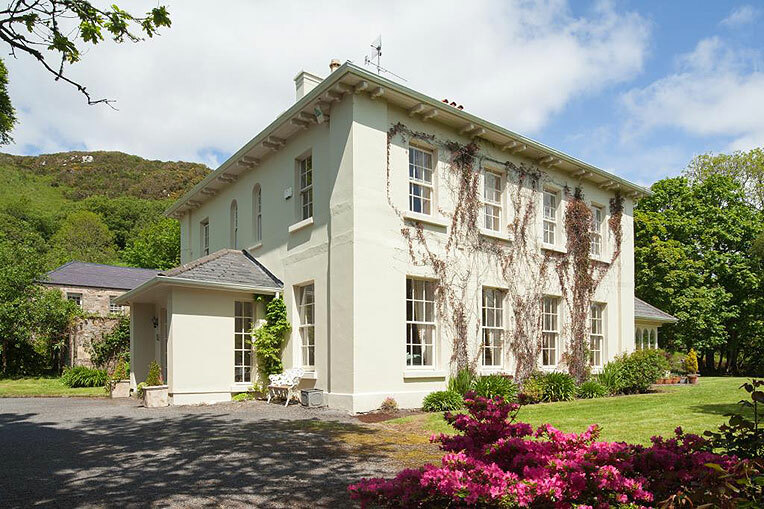 The peace and tranquillity of the Rectory’s surrounds combined with an accessible town and coastal location makes the house both the perfect family home and country retreat. The grounds and gardens are steeped in glorious beauty and wonder. The magnificent woodland contains 22 different species of specimen trees and a Millenium orchard was planted in 2000. Magical walks throughout the grounds wind their way through wonderful extensive flowering plants and trees designed to flower continuously for 12 months to provide for the Apiary. A flowing stream winds its way down through the lands to the coast. Sunny terraces surround the house and gardens to sit and absorb the vista and surrounding beauty. 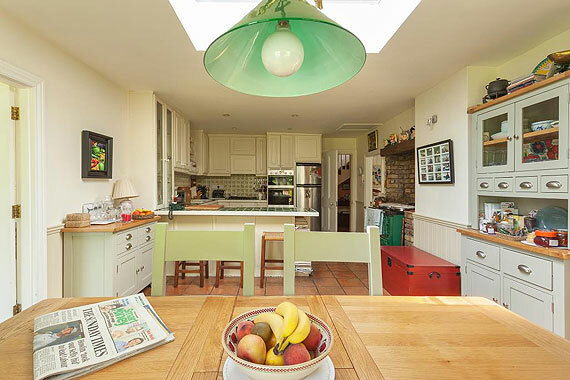 There is also a mature kitchen and vegetable garden. There is the added benefit of pony paddocks with access onto the beach road.